Data migration, as a fundamental aspect of projects on modernizing legacy systems, has been recognized to be a challenging task that may result in failed projects as a whole. One of main reasons for time and budget overrun is the lack of a well-defined methodology that can help handle the complexity of data migration tasks. 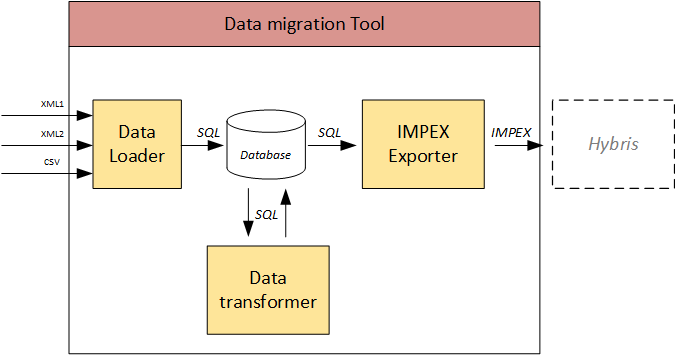 The process of data migration is tightly linked to the project scope. That explains why there is no universal tool that could be used for all situation. However, some ideas, concepts, architecture, and even components could be reused to make the process smoother and predictable. In this article I tell you about my own experience and my personal vision on the topic. I’ve been testing it in different projects where I was involved in for last 15 years. Data migration tools have been implemented by my teams and me in different programming languages, from Perl to Java. How volatile is the data etc. How is data going to “fit” and work in hybris? 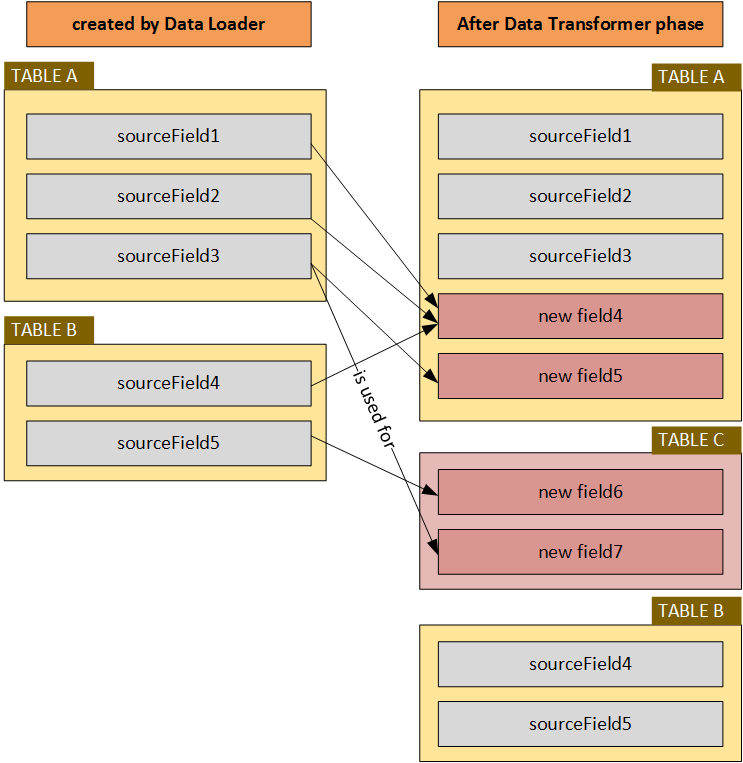 How is the overall structure of the data going to transfer? What changes are required for rich text content? What HTML is templated and what is embedded? Images (img, background etc.) in the embedded html code? Links? How will legacy system’s URLs change in hybris? How are you going to keep all these links valid? a bullet char instead of LI etc. Migration of rich text content is one of the most challenging topics. A manual migration could be a good alternative. Transfer phase is about how the actual bytes will be moved from legacy systems to hybris. The remaining part of this article is devoted to shed a light on this phase. You need to define how much data is going to be reviewed for compliance. It might be a representative sample or a whole set of data. Let’s look closer on the Transfer phase. Legacy systems may have a number of heterogeneous data sources. These data sources are interconnected but designed by different teams, in different time, using different data modeling tools or interpreted under different semantics. In addition to that they might be used differently than they were originally intended to be used by design. Legacy systems may have inaccurate, incomplete, duplicate or inconsistent data, and new systems may also require additional semantic constraints on data after being migrated. Thus, bringing the quality of data up to standard of new systems can be costly and time-consuming. Many data migration tasks such as data profiling, discovery, validating, cleansing, etc. need to be iteratively executed in a project and specification changes frequently happen in order to repair detected problems. From a traditional perspective, the process of data migration involves three stages: Extract, Transform and Load. Extract – the process of reading data from a specified source and extracting a desired subset of data. The extraction phase largely deals with the technical heterogeneity of the different sources and imports relevant data into a staging area. Load. This phase loads the integrated, consolidated, and cleaned data from the staging area into hybris. There is a number of the Off-the-shelf software. I am going to tell more about one of them, Pentaho Comminity Edition, but not in this article. Using Pentaho with hybris is a large topic which deserves a separate article. As for the off the shelf products in general, the majority of off-the-shelf solutions are too heavy and expensive for using in hybris projects. Sometimes, the barriers to entry are too high for this market. However, for large projects, using off-the-shelf ETL tools might be a best option. So I’ll explain the details in a separate article on the blog (next week?). It has already been preparing and will be published on the blog soon. The approach explained in this article works well for small and medium projects. If the transformation rules are comprehensive, creating the data migration tool from scratch may work much better than using an out-of-the-shelf software. These three modules covers Extract, Transform and Load phases of the process. By default, all components are executed one after another in the configured order. However, some components could be skipped. It makes the system scalable and manageable. Components are generally custom. However, they share some common code that is part of the module. Database is used as a staging area for the loaded data. All modules support rerunability. Meaning that, if the the process fails half way through the batch, the module can be run again with the updated input data sets or configuration. 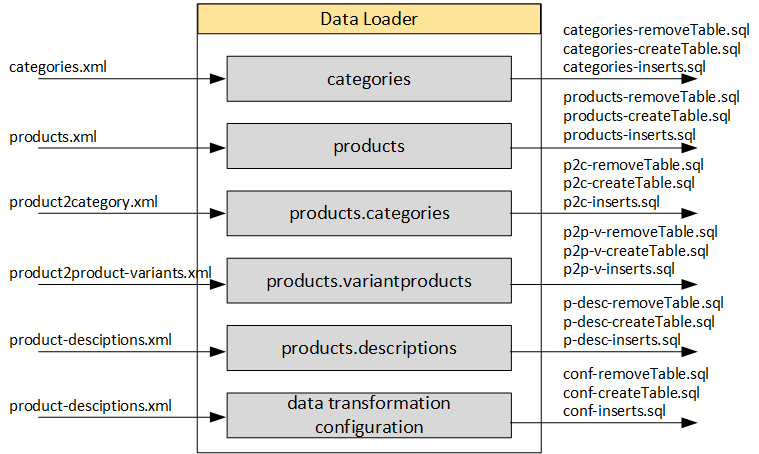 During the extract phase of ETL, the desired data sources are identified and the data is extracted from those data sources. In my solution, the data loader converts input text files (XML) into the database create/insert statements (SQL). It looks like a very basic solution, but for the small and medium projects my experience shows that it is good enough. Input files. As a rule, there is a milestone in the project, when the input files (data extracts) are provided to the developer according to the agreed specification (formats, data structures etc.). It is virtually impossible to get right data from the first try, so you need to take into the consideration that this phase needs to be iteratively executed in a project. There is a final step when they are executed before advancing to the next phase (data transformation). The purpose of splitting the data load process into “Generating of SQL statements” and “Executing SQL statements” is twofold: it is easier for debugging and a partial run. XML files. It is the most convenient format for the data loader. 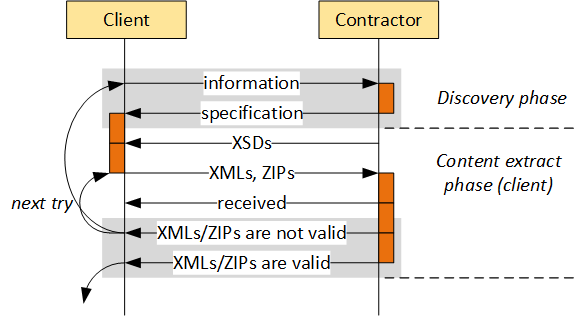 XML Schemas help to constrain the content and prevent mistakes in data. CSV files. I recommend using CSV files only for very large amount of data of very simple structure. CSV files are good only when your data is strictly tabular and you 100% know its structure and this structure won’t be changed. ZIP files. For binary content referenced from an XML: images, digital assets, documents. If possible, try to collect all input data as a deliverable packages. It is obvious and clear that files are stateless objects. This point is very important for proper sharing of responsibility. Each components should do only one thing (single responsibility principle). No data transformation. No merging or splitting. The module is basically a text formats converter: it reads one text file (XML, CSV) and create another text file (SQL). ZIPs are loaded by copying into a folder that is used by Data Transformer. After this phase, the database has been created, all data have been uploaded into the database. It is a turn of the data transformer. The transform step applies a set of rules to transform the data from the source to the target. The transformation rules are grouped to be executed separately if the needs arise. Very important feature of this solution that the target fields are always new tables or fields. You can run the transformation as many times as you want. The same concept of single responsibility is used here for the components: they should do one specific thing (responsibility) and not trying to do more than it. One of the challenging topics is converting embedded images and links into hybris media and page URLs. At the data transformation phase new URLs of images are not known because they haven’t uploaded to hybris yet. After this phase, the database has been updated, the data are cleansed, enriched, the duplicates are removed etc. It is a turn of the impex exporter. 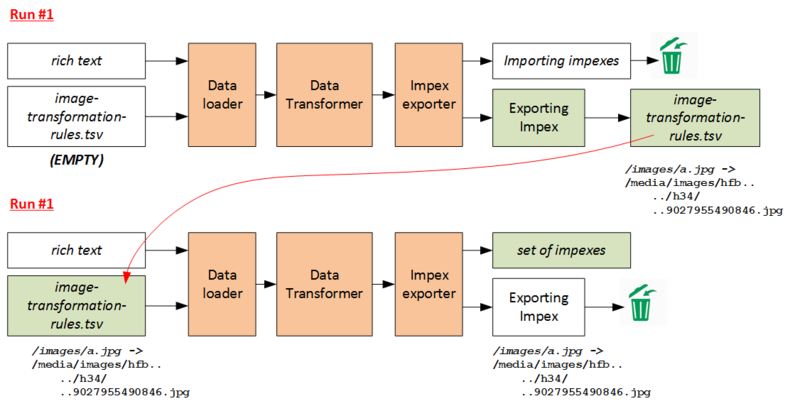 Exporter module creates a set of ImpEx files to load the data received from the previous two steps into hybris. There is no any data modification, data in output files is exactly the same as data in the database. If any transformation is needed, it should be performed earlier. folder. Each component does only one thing and can be used separately from others. There is a common code for all components that helps to generate valid impex files. Each impex file has a header and a set of data sections. Each section has a section header and section data. The section header is basically INSERT or INSERT_UPDATE statement. The section data is a CSV data block compatible with IMPEX syntax. Great job, Rauf! Very valuable, thanks a lot. Thank you for sharing this priceless experience. We use Hybris platform in our projects and your article was very informative and useful!